Global President Bill Minnock ’79 opened the meeting with a review of the CHS goals for 2018. 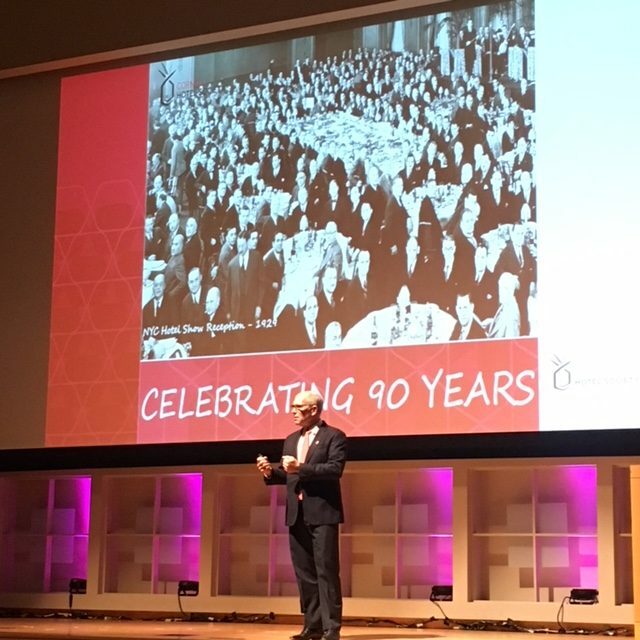 The highlight of the year will be a worldwide celebration of the 90th anniversary of CHS. Each chapter is encouraged to host an event on, or near, the May 12 anniversary date. CHS Collegiate Chapter President Michael Baldyga ’19 then provided an update on an impressive calendar of student events for the year. 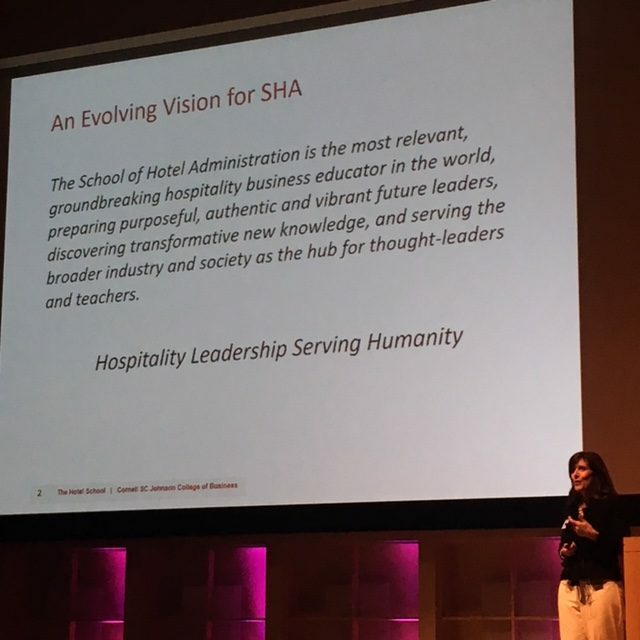 Dean Kate Walsh addressed the alumni in attendance with a review of her agenda for The Hotel School. 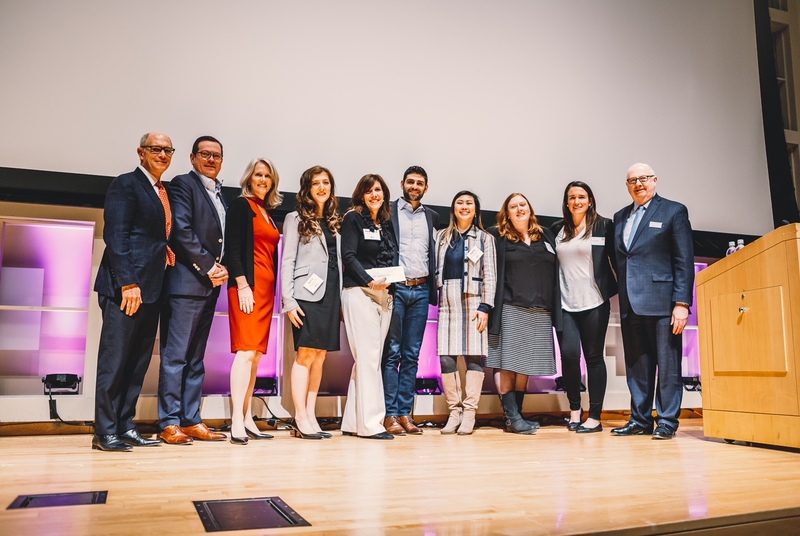 This included an update on the search for the new Dean of the College of Business, and SHA’s plan for expanded undergraduate, graduate and executive education programs in New York City. Following her presentation, several CHS Chapter Presidents presented Dean Walsh with checks for their respective scholarship funds. 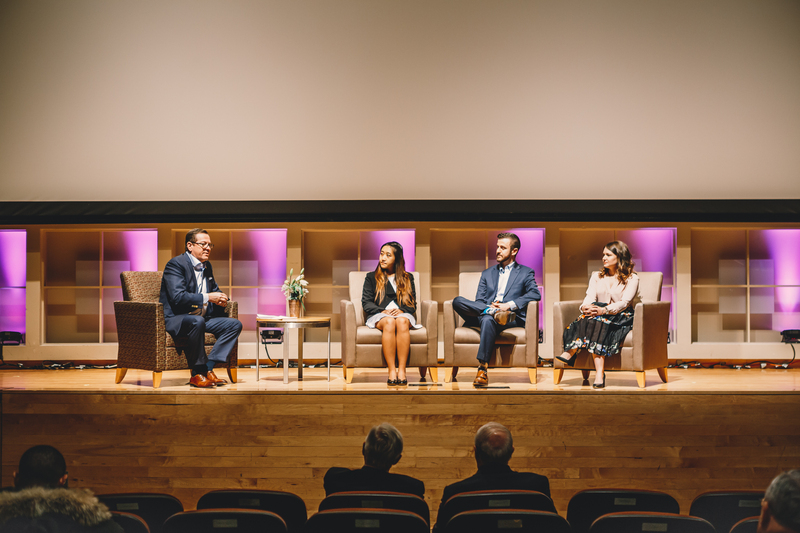 The meeting concluded with First Vice President Dexter Wood ’87 interviewing the three finalists for the Hotelie for Life® Senior Prize: Kayti Stanley ‘18, Alex Levy ’18, and Christie Choy ’18. 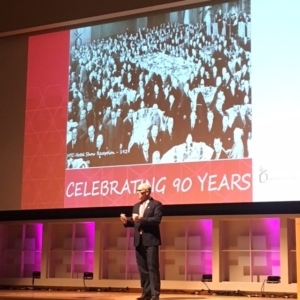 President Bill Minnock ’79 discusses plans for the 90th anniversary of CHS. 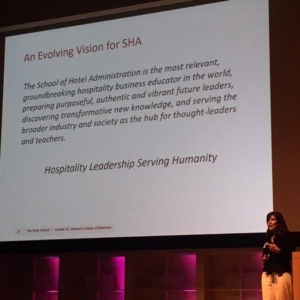 Dean Walsh shares her vision for The Hotel School. CHS Chapter Presidents present Dean Walsh with donations for their respective scholarship funds. 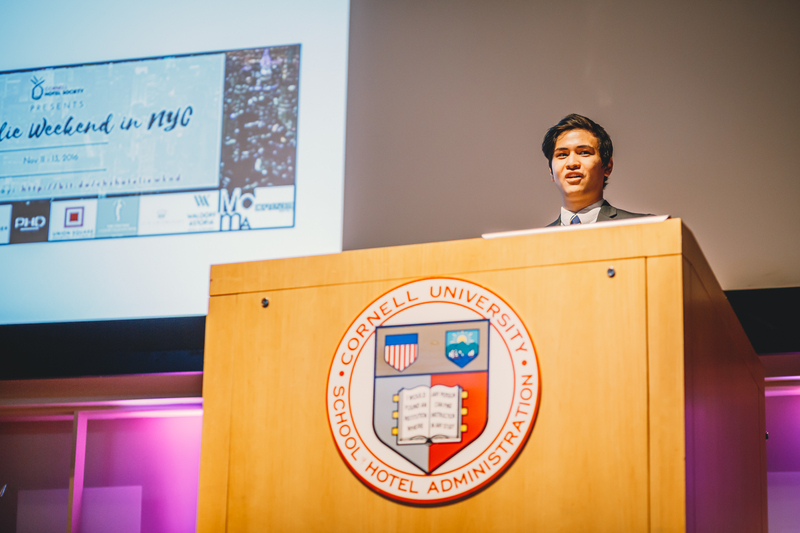 CHS Collegiate Chapter President Michael Baldyga ’19 provides an update on chapter events. First Vice President Dexter Wood ’87 interviews the three finalists for the Hotelie for Life® Senior Prize. 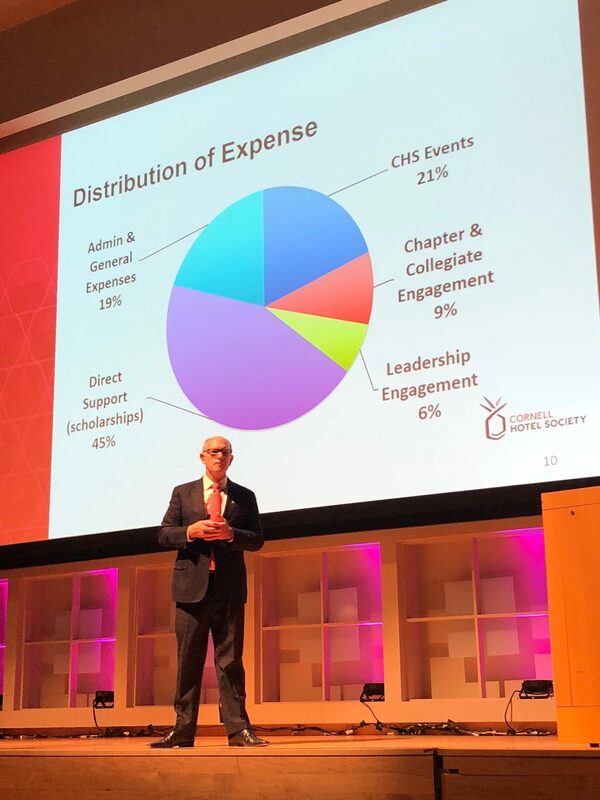 Nearly 80 percent of CHS funds go toward student, faculty, and chapter support.